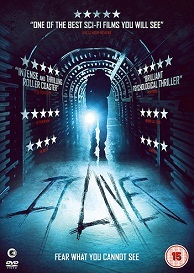 It Lives is out on DVD on 6th August 2018. And to celebrate we have a great competition for you and 3 copies on DVD to give away. A lone scientist maintains a bunker in preparation for a coming nuclear disaster. Isolated deep underground his worst fears are realised when communication is lost and he is trapped with no knowledge of events on the surface. The walls begin to close in and a terrifying series of events make him question his sanity. But is he losing his mind, or is there something else in the bunker with him?